March-April 2018: Three papers published ! ● Charlie Fancher's PhD thesis work on the AC Zeeman force has been published in Physical Review A [PDF]. ● Dan Salmon and Perry Nerem's (Delos theory group) have published their experimental work demonstrating classical dynamical monodromy in Physical Review Letters [PDF]. ● The FrPNC collaboration has published its investigation of isotope shifts in francium on the 7s-8s 2-photon transition in Physical Review A [PDF]. Neil Jacob is a 2017 graduate of George Mason University and is working in the lab as a VMEC Summer Scholar. He works on constructing and characterizing a direct digital synthesis (DDS) RF source that can conduct agile frequency sweeps in the 1-400 MHz range. 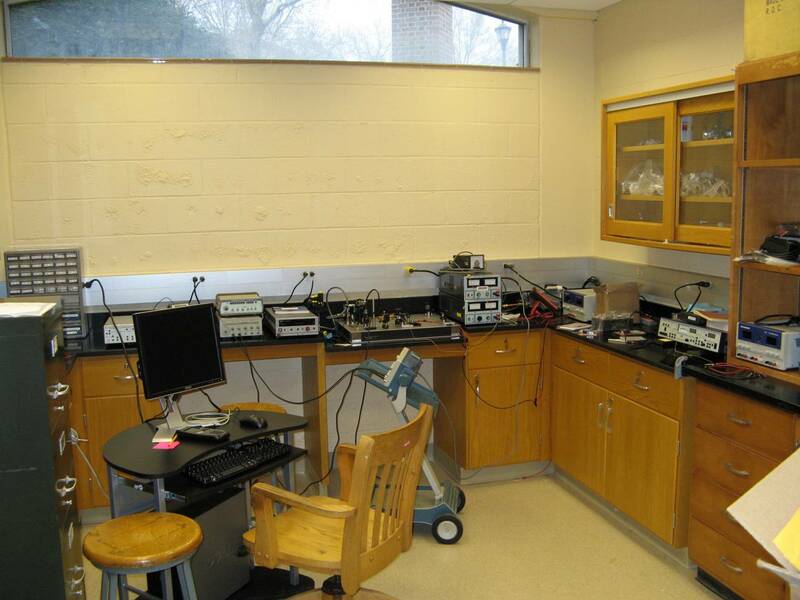 Ben Halkowski (W&M 2018) is developing an external cavity diode laser for spectroscopy of rubidium at 780 nm. He is supported by an iDISPLA grant from ARL (Fort Belvoir, VA). Fall 2016: Dr. Charles Fancher graduates! Congratulations to Dr. Charles Fancher! Charlie successfully defended his Ph.D. thesis, AC Zeeman Force with Ultracold Atoms on November 21, 2016. Dr. Fancher is an NRC Postdoctoral Fellow at the Naval Research Lab (Washington, D.C.) in the group of Dr. Adam Black, where he works on the quantum optics of nano-fibers. From left: Drew Rotunno, A.J. Pyle, Dr. Austin Ziltz (PhD'15), Dr. Charles Fancher, Prof. Seth Aubin, Shuangli Du. 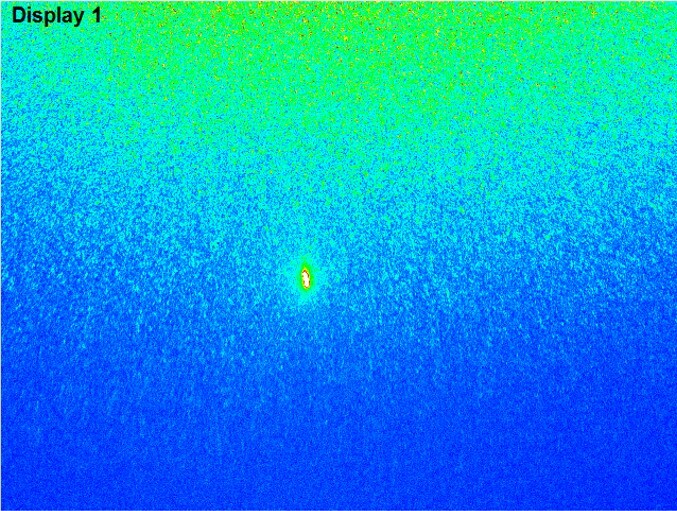 The FrPNC collaboration successfully observed the 7s-8s 2-photon transition at 1013.5 nm in 208-211, 213Fr. This work is a first step towards eventually driving the parity-forbidden 1-photon transition at 506.8 nm. The group presented its research at the DAMOP atomic physics conference in Providence, RI. Congratulations to A.J. for winning a Graduate Research Fellowship from the Virginia Space Grant Consortium to support his work on quantum pumping. Congratulations to Charlie Fancher for winning the Northrop Grumman Corporation Award for Excellence in Scholarship in the Natural and Computational Sciences at this year's Graduate Research Symposium. Charlie's research focuses on measuring the AC Zeeman force in ultracold atoms due to microwave near-fields produced by an atom chip (more here). at the 2016 Graduate Research Symposium. Fall 2015: Dr. Megan Ivory graduates! Congratulations to Dr. Megan Ivory! Megan successfully defended her Ph.D. thesis, Experimental Apparatus for Quantum Pumping with a Bose-Einstein Condensate on September 4, 2015. Dr. Ivory leads the Quantum Information Systems team at ColdQuanta, Inc. in Boulder, CO.
Dr. Megan Ivory after the PhD defense. April 2015: Dr. Austin Ziltz graduates! First Ph.D. of the Lab! Congratulations to Dr. Austin Ziltz! Austin successfully defended his Ph.D. thesis, Ultracold Rubidium and Potassium System for Atom Chip-based Microwave and RF Potentials, on April 15, 2015. Dr. Ziltz works at Laser & Plasma Technologies in Hampton, VA, developing novel infrared imaging and repair systems for paint-obscured corrosion on aircraft. Left: Dr. Austin Ziltz (right) and his advisor, Seth Aubin (left), after the defense. 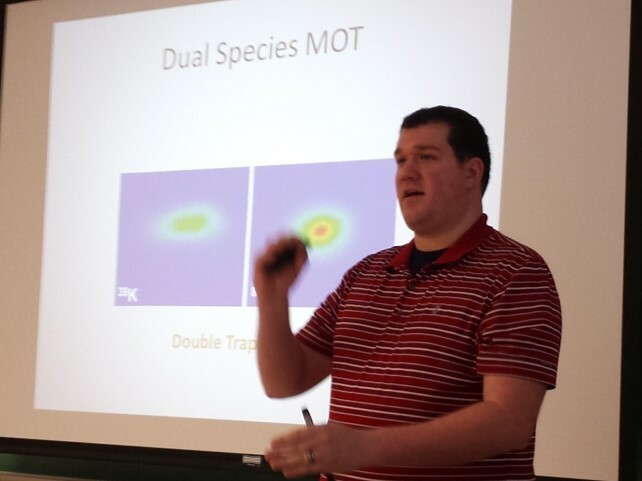 Right: Austin defends his thesis. We have increased the size of our 87Rb Bose-Einstein condensates by a factor of three to obtain robust production of BECs of 4×104 atoms. The improvement was due primarily to greater laser power at 780 nm (leading to better laser-cooling) and an optimized RF evaporation trajectory with an efficiency of 3.7 (previously 2.7). This advance will assist sympathetic cooling of potassium isotopes with rubidium. 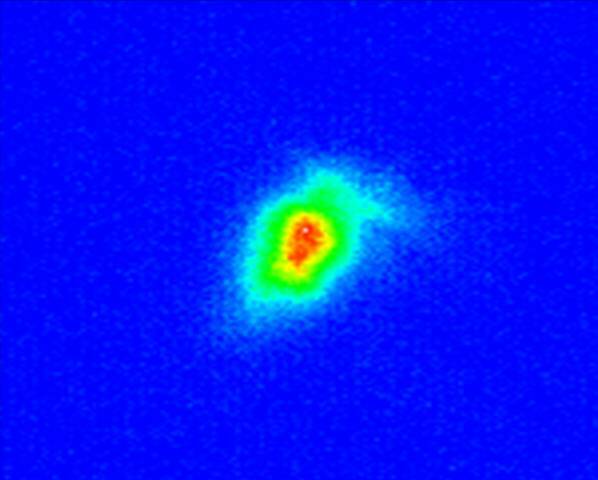 Left: Absorption image of a 87Rb BEC with 4×104 atoms. 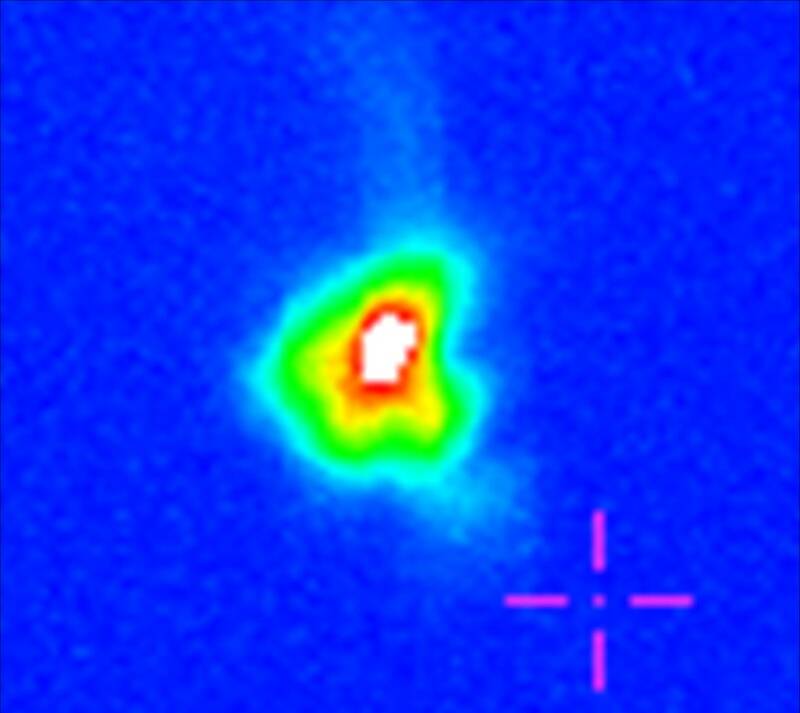 The image is taken 12.75 ms after the BEC has been released from the atom chip trap. OD refers to optical depth. 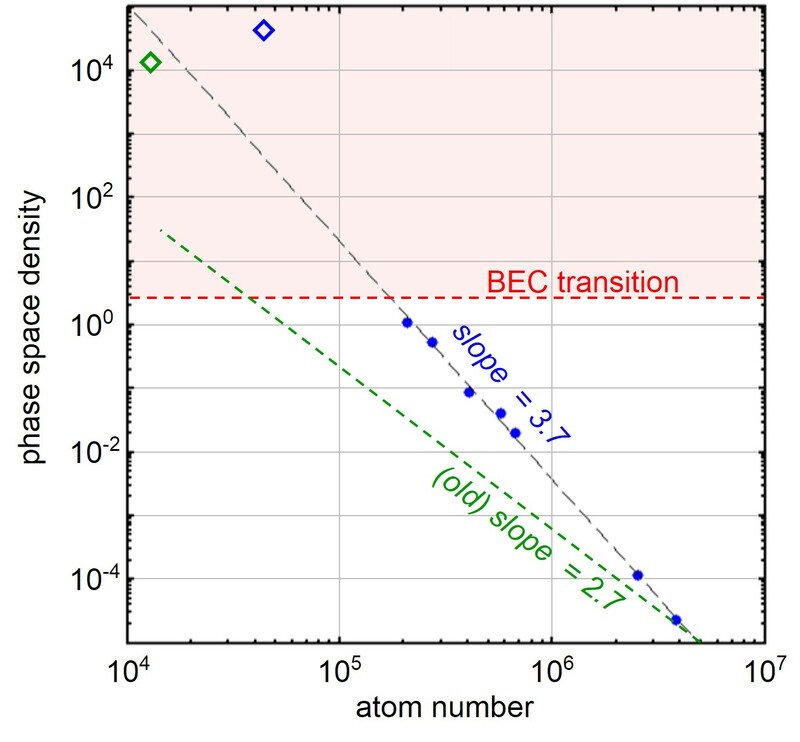 Right: Phase space density versus atom number over the course of RF evaporation in the chip trap. The diamond points represent quasi-pure BECs (condensate atom number is used in place of phase space density). The dashed green line shows the previous evaporation trajectory. 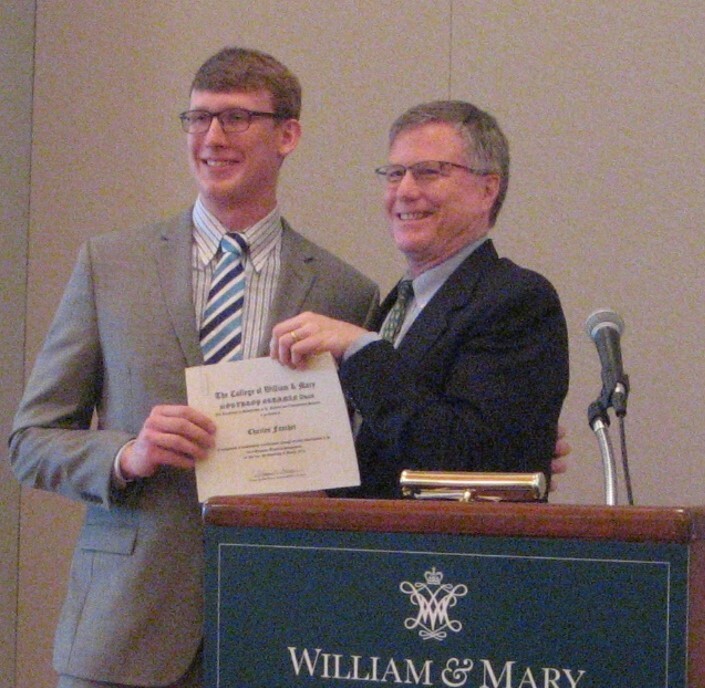 Graduate student A. J. Pyle was awarded the 2015 Cheryl Griffith Tropf Fellowship in Physics. The fellowship ensures a reduced teaching load and provides some funds for research and conference travel. A. J. 's research focuses primarily on investigating quantum pumping and transport using Bose-Einstein condensates. More information is available at this link. Bill Tropf (left) and A. J. Pyle (right). The FrPNC collaboration at the TRIUMF accelerator (Vancouver, Canada) has successfully transferred laser-cooled francium from an on-line magneto-optical trap (MOT) to a second MOT located 0.7 m below in a vacuum chamber (dubbed the "science chamber") where parity non-conservation measurements will take place. MOT of 211Fr in the science chamber after transfer. Congratulations! Tommy Byrd (Delos group) successfully defended his theory research on classical and semiclassical aspects of ballistic quantum pumping on December 1. Tommy and the Aubin group have collaborated on a number of theory papers over the past three years. Tommy is headed to Purdue University to work in the Mugler group. 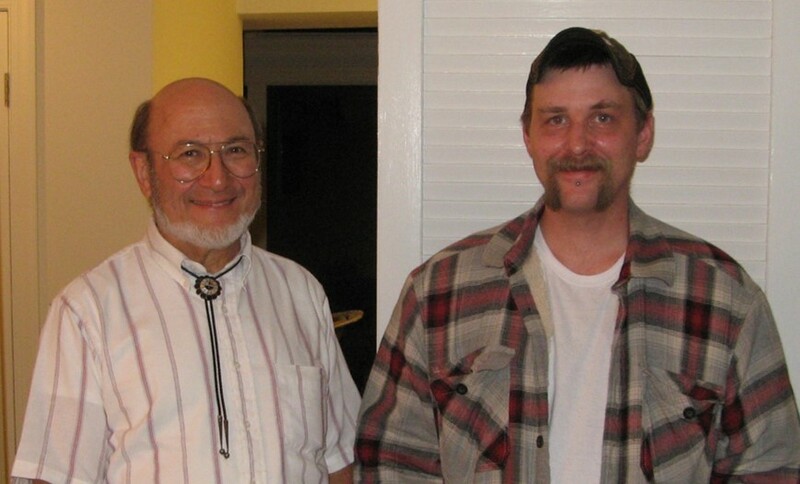 Prof. John Delos (left) and Dr. Tommy Byrd (right). 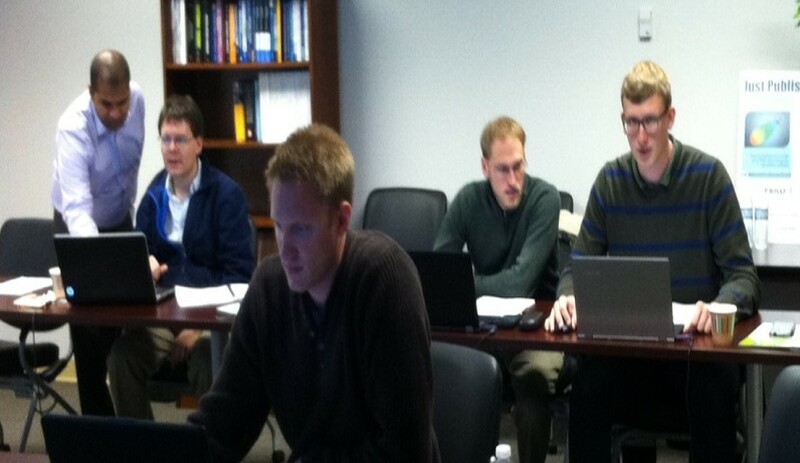 The Aubin group spent a few a days undergoing training in how to do microwave electromagnetic field numerical simulations using the software FEKO (by EMSS and Altair Inc.) at the company's office in Hampton, VA.
Seth Aubin (2nd on left), AJ Pyle (2nd on right), and Charles Fancher (right) learning to simulate microwave fields. Austin Ziltz starts work as a scientist at Laser Plasma Technologies (Hampton, VA) developing novel infrared imaging and repair systems for paint-obscured corrosion on aircraft. The Fulbright award will support Seth Aubin's research on the FrPNC experiment at the TRIUMF particle accelerator in Vancouver, Canada, during summers 2015 and 2016. A W&M news brief on the award can be found here. 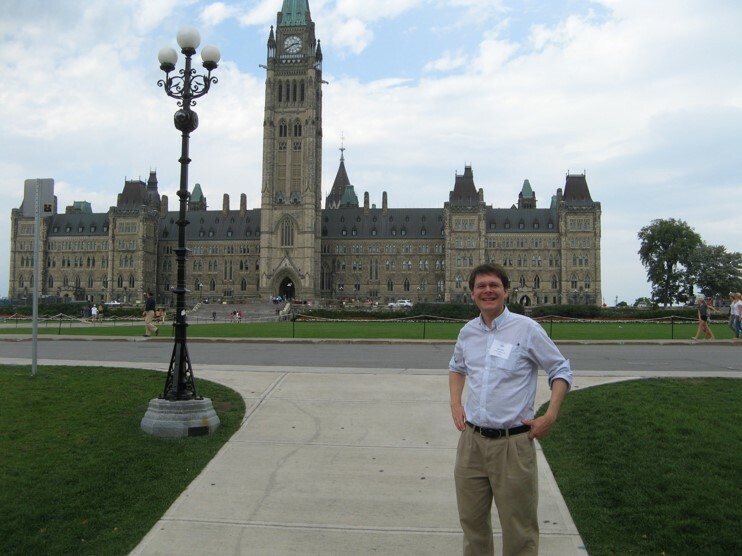 Seth Aubin visiting the Canadian parliament in Ottawa with the Fulbright Canada program. The group presents its research at the International Conference on Atomic Physics in Washington, D.C. and attends its associated summer school at W&M. Congratulations! Elana Urbach will enter the PhD program at Harvard University in Fall 2014, and Harrison Cantor-Cooke will start work in June 2014 at Tesla Motors as a firmware engineer. From left to right: Seth Aubin, Harrison Cantor-Cooke, and Elana Urbach. Elana Urbach shares the Harrison Award for Excellence in Physics with Tim Milbourne. The prize is awarded to the senior(s) with the highest demonstrated achievement in physics. Congratulations! From left to right: Tim Milbourne, David Armstrong (Chair), and Elana Urbach. Megan Ivory starts work as a scientist at ColdQuanta (Boulder, CO) developing laser cooling and trapping systems and techniques. The Hampton Road daily newspaper the Daily Press runs a front page story on January 15, 2014 about the lab's ultracold atom research. From left to right: Elana Urbach, A.J. Pyle, Charlie Fancher, and Austin Ziltz. Congratulations! Charles Fancher shares the Rolf G. Winter Award for excellence in teaching with fellow graduate student Peter Rosenberg. Charles Fancher receives the Rolf G. Winter Teaching Award from David Armstrong (Chair). Charlie Fancher and Austin Ziltz win travel awards and give talks on their research (dipole trapping for magnetometry and atom chip trapping, respectively) at the SESAPS 2013 conference in Bowling Green, KY.
Isabelle Lee, Anuraag Sensharma, and Elana Urbach present posters on their research (Feshbach resonance theory, dark-ground imaging, and Feshbach resonance experiment, respectively) at the Frontiers in Optics 2013 conference in Orlando, FL. 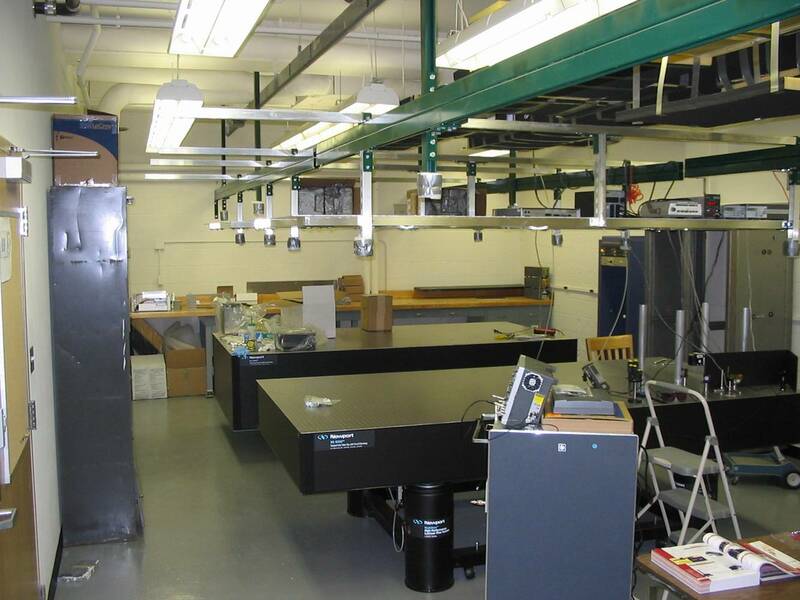 We have successfully installed 1064 nm optical dipole traps near our atom chip and in our MOT cell. 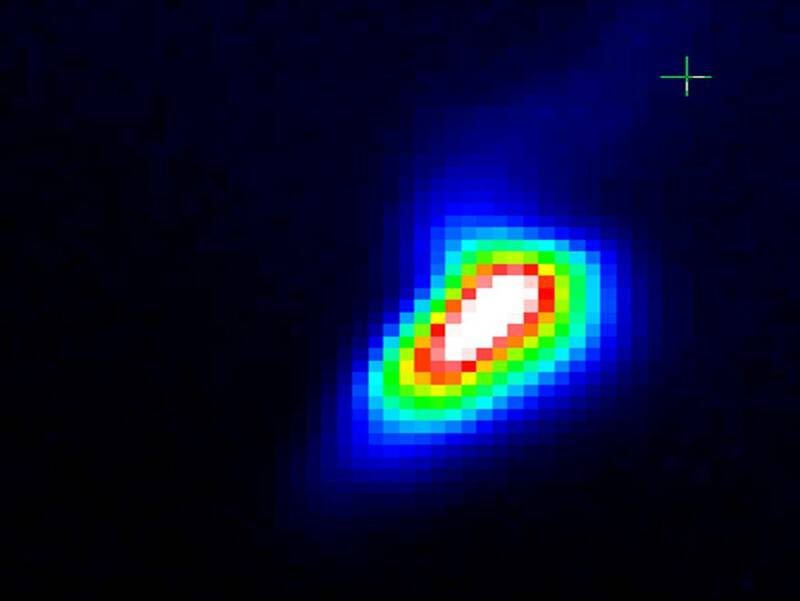 Left: Fluorescence image of 87Rb in the 6 W MOT cell dipole trap. 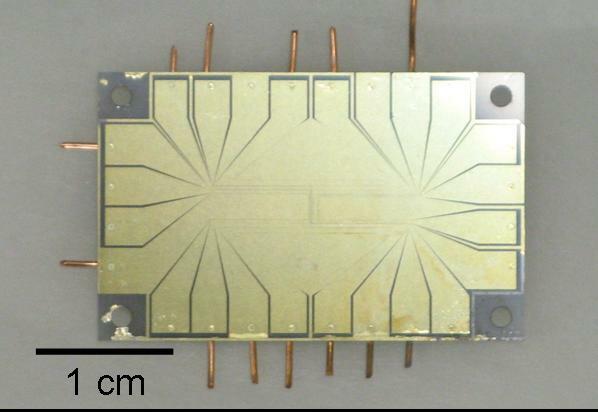 Right: Absorption image of 87Rb in the 1 W atom chip dipole trap. Megan Ivory wins travel awards to give a talk at DAMOP 2013 in Quebec City, Canada, and a poster at CLEO/QELS 2013 in San Jose, CA, on her quantum pumping research. Austin Ziltz and Charlie Fancher are awarded Virginia Space Grant Consortium (VSGC) Graduate Research Fellowships for 2013-14. 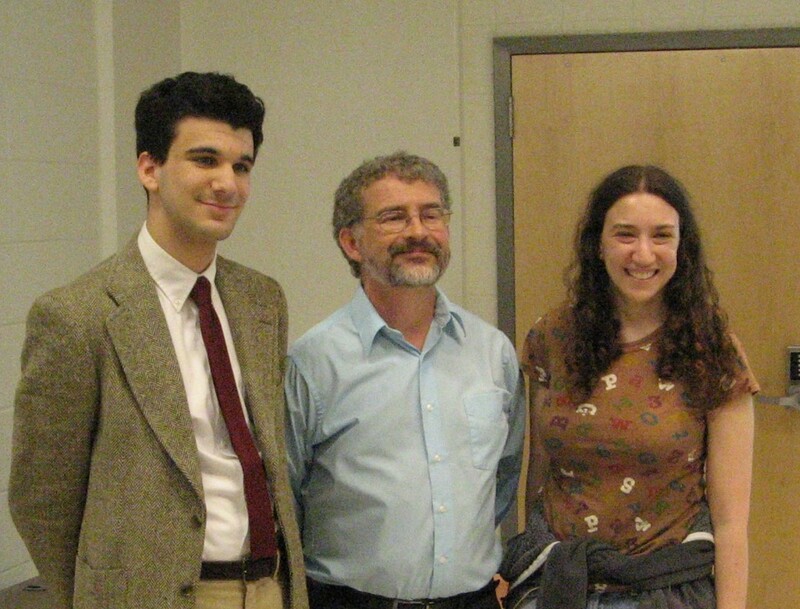 Elana Urbach wins a VSGC Undergraduate Research Scholarship for 2013-14 and the Society of Physics Students (SPS) Top Leadership Scholarship for 2013. September 2012: Bose-Einstein Condensation !!! 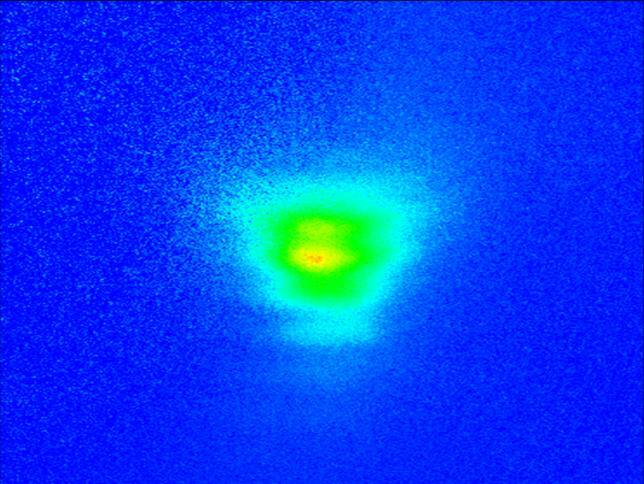 We have achieved Bose-Einstein condensation in an ultracold gas of 87Rb trapped on an atom chip . We observe a transition temperature of Tc~ 460 nK with quasi-pure condensates of up to 3x104 atoms. 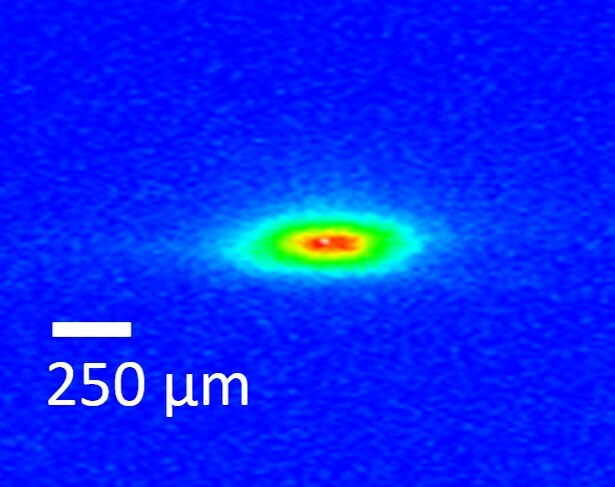 Some absorption images of our first 87Rb BECs in the |F=2, mF=+2> hyperfine ground state. Left: Image showing the inverted aspect ratio of the BEC after a time-of-flight of 12 ms. 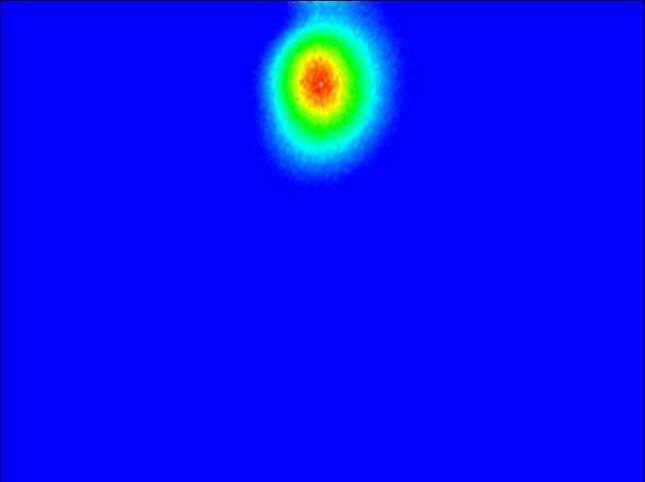 Right: Movie at 8 ms time-of-flight showing the transition of a thermal gas into a BEC. Francium trapped at TRIUMF !!! 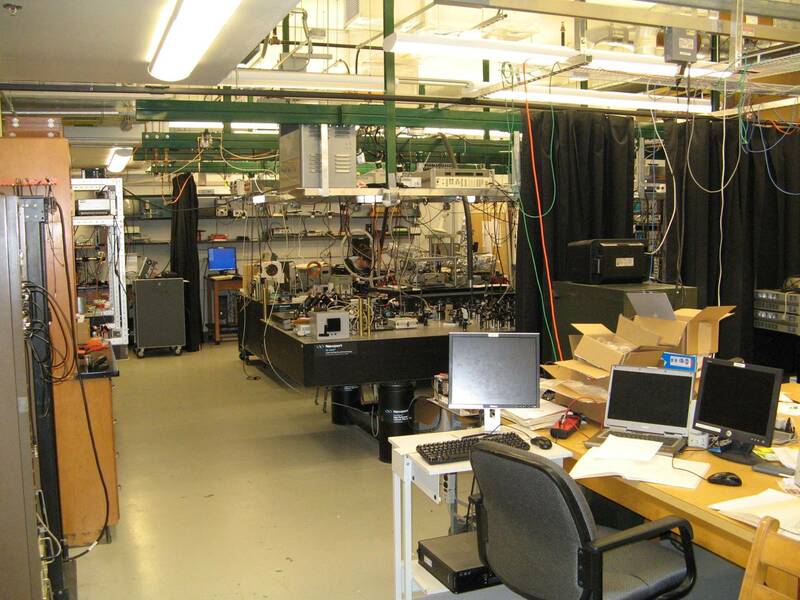 The FrPNC collaboration (see also this link at U. of Maryland) has successfully trapped 207Fr, 209Fr, and 221Fr isotopes in an on-line magneto-optical trap (MOT) at the ISAC facility of the TRIUMF accelerator (Vancouver, Canada). For more information please follow this link. 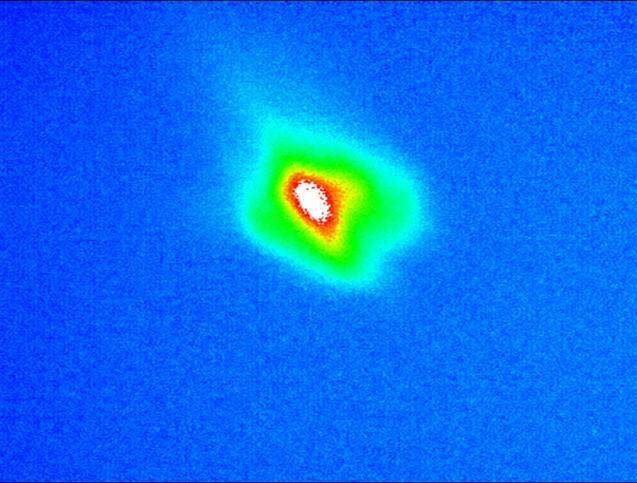 Fluorescence images of a 209Fr MOT at TRIUMF as seen by two separate CCD cameras. The FrPNC collaboration is supported by DOE and NSF (USA), NSERC, NRC, and TRIUMF (Canada), and CONACYT (Mexico). 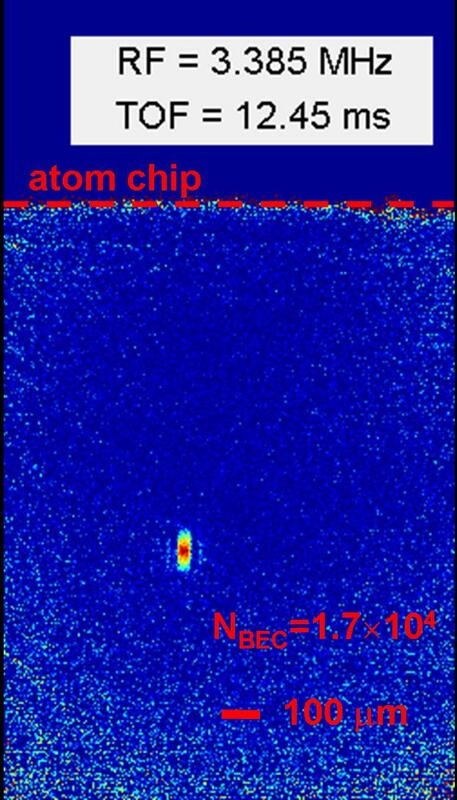 We have successfully loaded 87Rb atoms into the Z-wire trap of the atom chip. 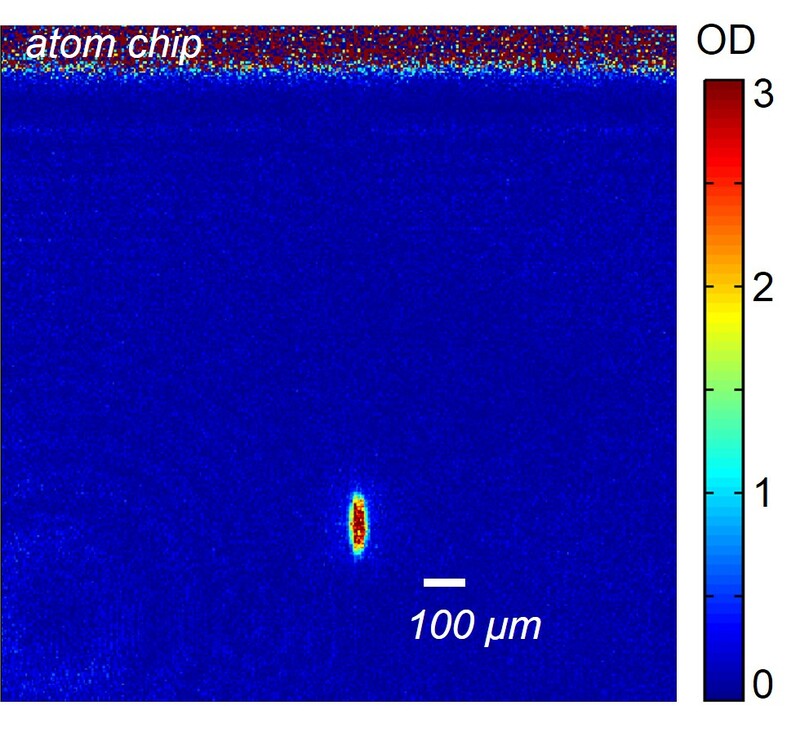 Absorption (left) and fluorescence (right) images of 87Rb in the Z-wire trap of the atom chip. 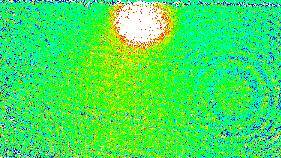 The line of noise at the top of the absorption image (left) is the chip. Brian Chase, Lauren White, and Sandro Gvakharia graduate after completing their senior theses in the lab. Congratulations! Josh Holt (Biology major) graduates after completing his senior research on memristors. Congratulations! Brian Chase wins the Undergraduate Research Award for his work on rebuilding the 1064 nm 10 W dipole trap laser (Spectra-Physics 3800, on long term loan from the Sukenik group at ODU) and photo-association spectroscopy in a 87Rb MOT. 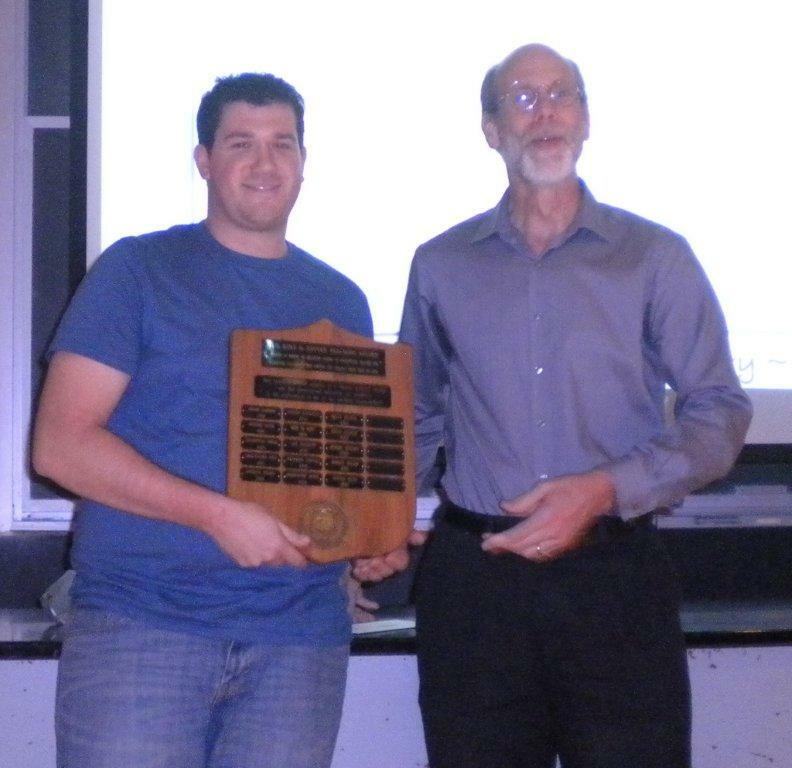 Brian Chase accepts his award from Prof. David Amrstrong, Chair of Physics. The lab is featured in Ideation, the W&M campus research magazine. The article can be found here. 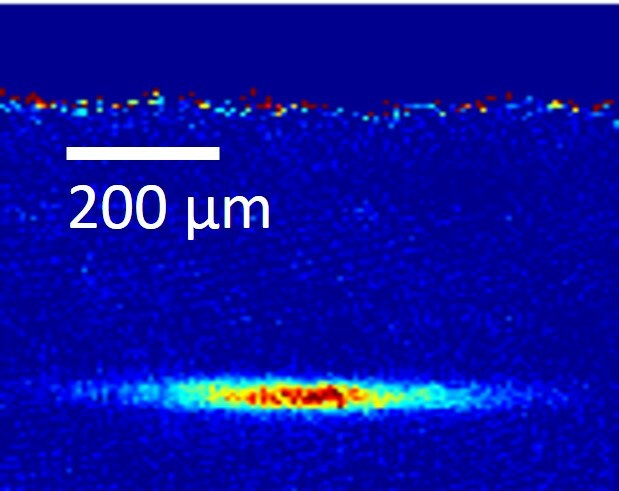 The laser shutter paper, in collaboration with the group of Eduardo Gomez at Universidad Autonoma de San Luis Potosi (Mexico), is published as Rev. Sci. Instrum. 82, 046102 (2011). Megan wins a VSGC Graduate Research Fellowship to support her research on an atom chip-based fermion atomic clock. Josh Holt wins a VSGC Undergraduate Research Scholarship to support his independent research on microfabrication of memristors. Prof. Kunal Das (Kutztown University) and Prof. Kevin Mitchell (UC Merced) visit Aubin and Delos groups for an informal workshop on classical and quantum aspects of quantum pumping. Megan Ivory, Kevin Mitchell, and Hoshik Lee. We have installed the atom chip in vacuum and succesfully laser cooled 39K and magnetically trapped 87Rb. Left: K-Rb apparatus with atom chip (top right). Center: 39K MOT. Right: Magnetically trapped 87Rb atoms. 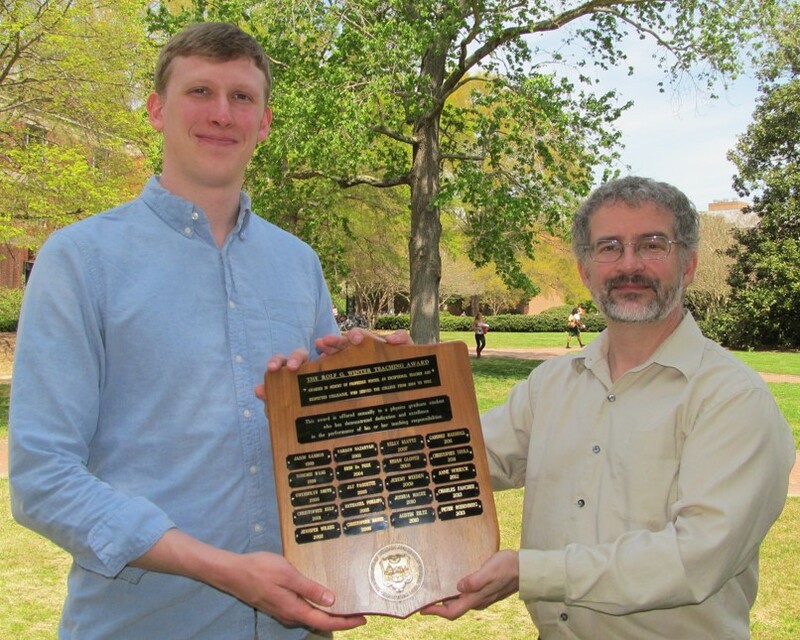 Austin wins the Rolf G. Winter Award for excellence in teaching for his work as the teaching assistant in PHYS 252: Introduction to Analog Electronics and PHS 351: Introduction to Digital Electronics over the past 3 years. from Prof. Keith Griffioen, Physics Dept. Chair (right). John Hagee (Old Dominion U. ), Sandra Schmidt (Arizona State U. ), and Andrew Pyle (Kutztown U.) join us for the summer to construct an agile DDS RF source, a tapered amplifier for 767 nm, and a triggerable current driver for 10x 405 nm LEDs, respectively. Sandi, Seth, AJ, and John (summer 2010). 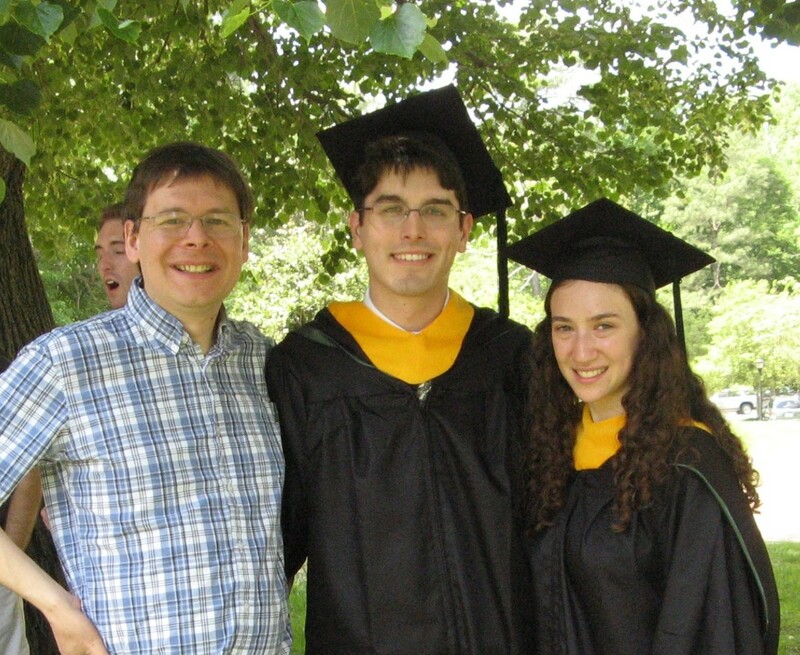 May 2010: Francesca and Brian graduate ! Francesca Fornasini and Brian Richards finish their senior theses and graduate. Francesca is headed to the Physics Ph.D. program at UC Berkeley, and Brian will pursue a Ph.D. in Physics at the U. of Virginia. 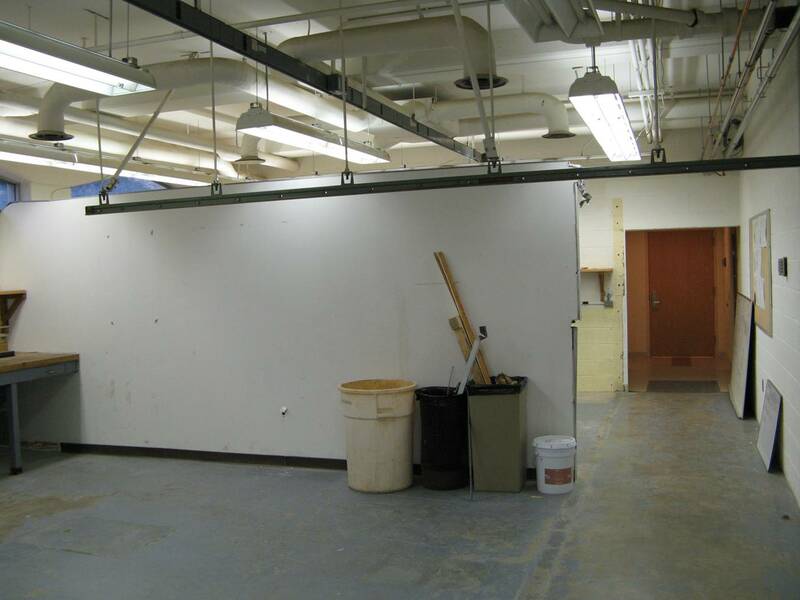 April 2010: Move into new lab space in the new research wing of Small Hall. 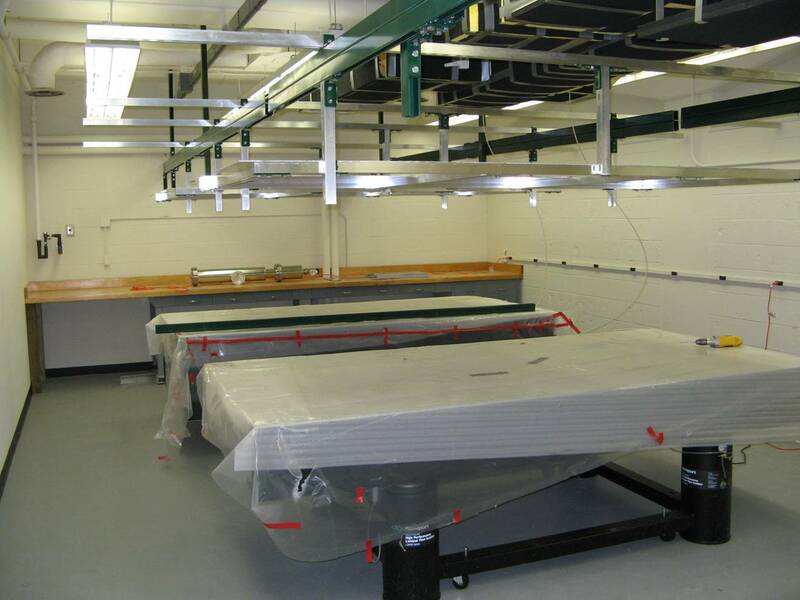 The lab moves into bigger, better research space with improved temperature and humidity control. 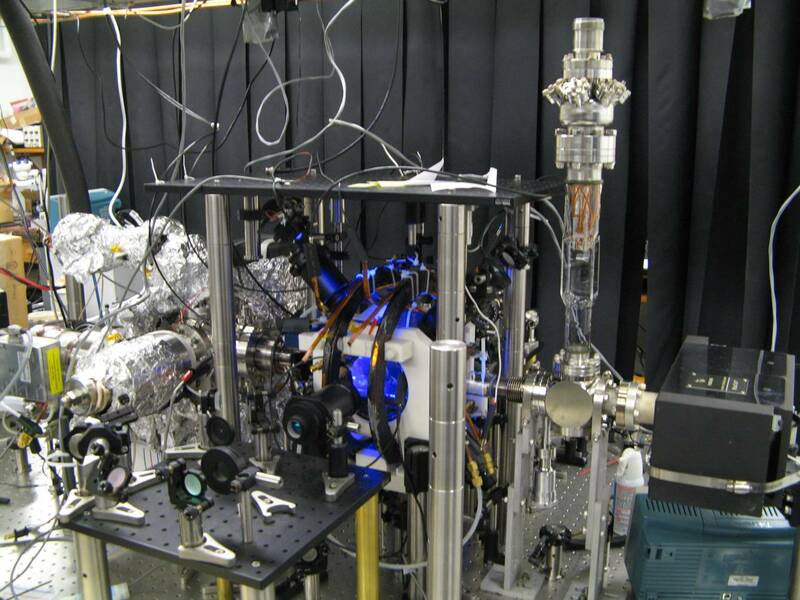 September 2009: Quantum pumping paper is published in PRL. The quantum pumping paper, in collaboration with Kunal Das at Kutztown University of Pennsylvania, is published as Phys. Rev. Lett. 103, 123007 (2009). 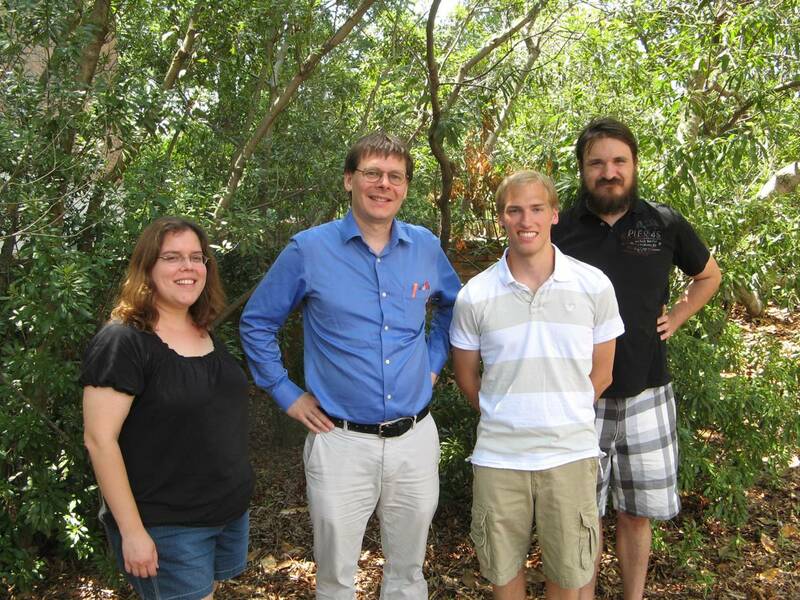 August 2009: Jim Field and Austin Ziltz join the group as Ph.D. students. Jim and Austin join the group to work on the ultra-cold fermion experiment. After a little bit of coaxing, we got our first MOT with a temperature of 100-200 microK. The 87Rb atoms are trapped and cooled by a 3-beam MOT, which we are in the process of converting to a 6-beam MOT with a 1 W tapered amplifier. May 2009: Justin and Trevor graduate ! Trevor Harrison and Justin Winkler complete their senior theses and graduate. Justin is headed to the Physics Ph.D. program at the University of Rochester, and Trevor moves to Breckenridge, CO (where the snowboarding is apparently better than in Williamsburg, VA). April 2009: Megan Ivory joins the group as a Ph.D. student. Megan joins the ultra-cold fermion experiment. May 2008: Brian graduates ! Brian DeSalvo succesfully defended his honors senior thesis entitled "Mode-Locked Diode Laser for Precision Optical Frequency Measurements". Brian is the first student to graduate from the lab. He is continuing his research interests in the Physics Ph.D. program at Rice University. 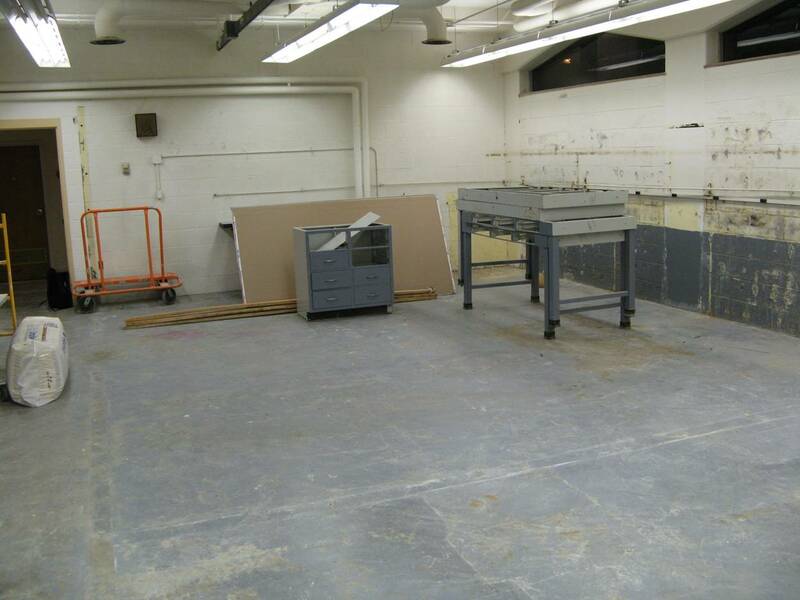 After a long construction period, the Ultra-Cold AMO Lab renovation is finally complete. 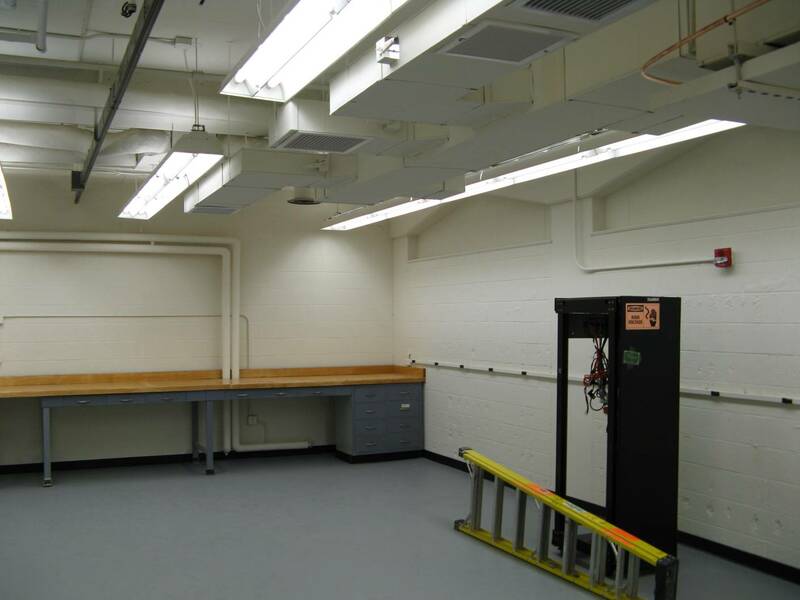 The primary additions to the room were a wall, water plumbing, and a dedicated HVAC unit for temperature and humidity stabilization. Aiyana Garcia starts working in the Ultra-Cold AMO Lab as the first Ph.D. graduate student researcher. 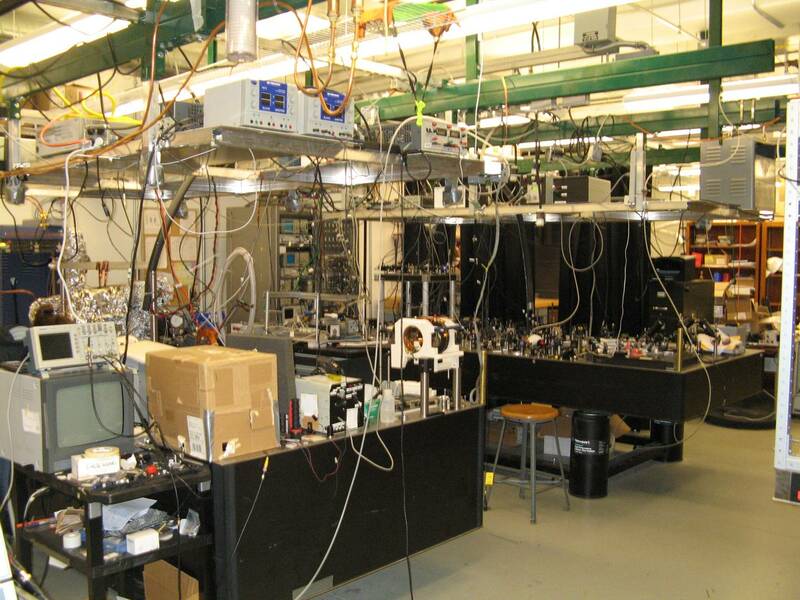 The Ultra-Cold AMO Lab at William & Mary begins operation. 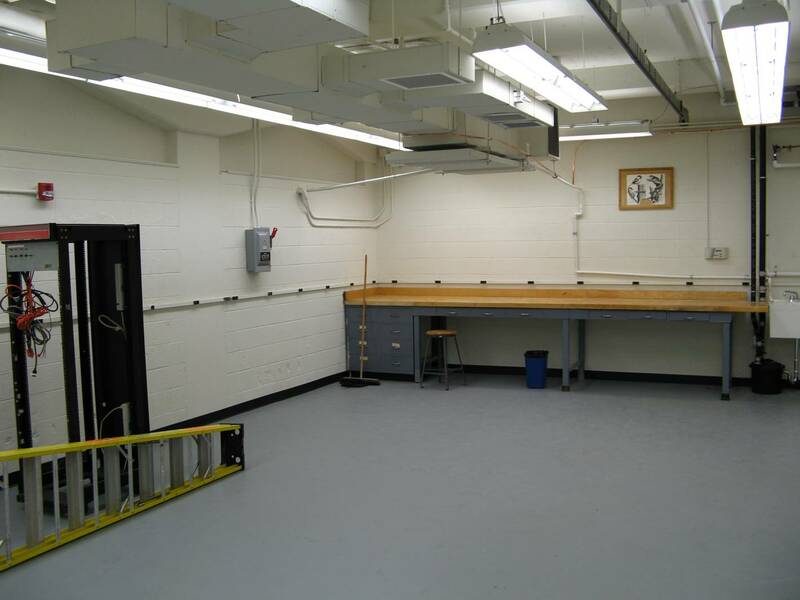 The lab uses basement room B101, shown below, and will move into basement room 15 after renovations are completed. Web page updated: May 25, 2018.